Linux is growing in popularity and becoming a preferred software platform in the industry. Linux+ certification shows employers that a candidate has the right skills to fulfill their Linux needs. Linux now powers most of the world's supercomputers and web servers, as well as tens of millions of Android devices, making it an essential skill for those in an assortment of IT system administration, network management, and technical support roles. Linux is also the foundation of the popular LAMP development stack, adding value for web developers with an understanding of it. For the new CompTIA Linux+ Exam, the LPIC-1, and LPIC-2 exams, Pearson IT Certification has Exam Profiles that offer tips & tricks, identify common trouble spots, preparation hints, and more. We also have diverse and comprehensive learning solutions to fit your learning style, from practice tests to complete video courses to certification guides and more. * Sale prices displayed reflect 45% discount achieved with purchase of two or more eligible titles and application of discount code LINUX45. Discount code LINUX45 provides 30% discount off the list price of one, or 45% discount off the list price of two or more eligible titles purchased on pearsonITcertification.com. Eligible titles include featured Linux+, LPIC-1, and LPIC-2 titles only. Coupon does not apply to book + eBook "Best Value" or "Additional Savings" bundles, book/eBook + video bundles, individual video lessons, Safari Books Online, Rough Cuts, or any title featured as eBook Deal of the Week or Video Deal of the Week. Coupon offer expires December 31, 2019. May not be combined with any other offer. Not redeemable for cash. Offer subject to change. Successful completion of both LPIC-1 exams (101 and 102) are required to obtain the LPIC level 1 certification. 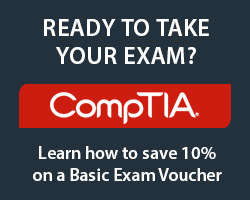 These exams are also offered as CompTIA's Linux+ certification. Linux+ has been powered by LPI since 2010, meaning that the CompTIA and LPI exams are taken from the same pool of LPI questions. This partnership allows you to take the same exam through CompTIA under the LX0-103 and LX0-104 names to obtain Linux+ certification. Furthermore, LPI will grant you the LPIC level 1 certification if you pass the Linux+ exams, but the reverse does not hold true.